A woman escaped from Teheran to Germany in 2001 for political reasons. Now she is living in Mannheim in Herzogenried-Viertel. 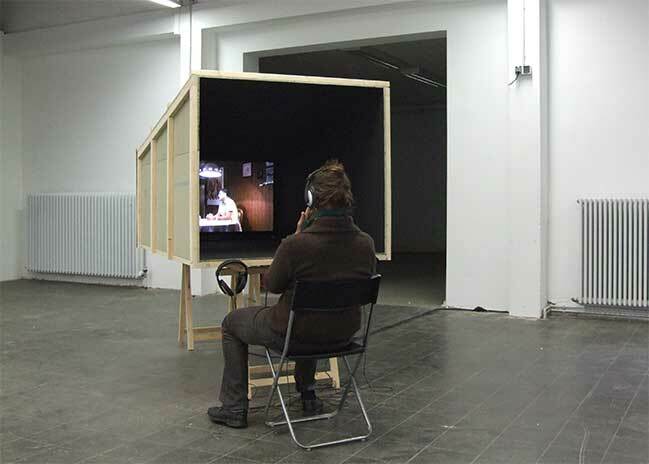 Sitting in the livingroom of one of the habitants of this quarter, she tells her real story to a neighbour – the first of eight neighbours, who are living next to her not knowing her story. She describes the steps, the danger and the struggle of her escape. After finishing her story she is leaving the space. The next neighbours enters, sits down and listens to the story of the escape, told by the neighbour. Using the method of “chinies visper” the eight neighbours/narrators are asked to remember as good as possible and to tell this story to the next neighbour. In the storytelling process they take over the position of the iranian women as if it would be their own story, ignoring their own gender and cultural background. 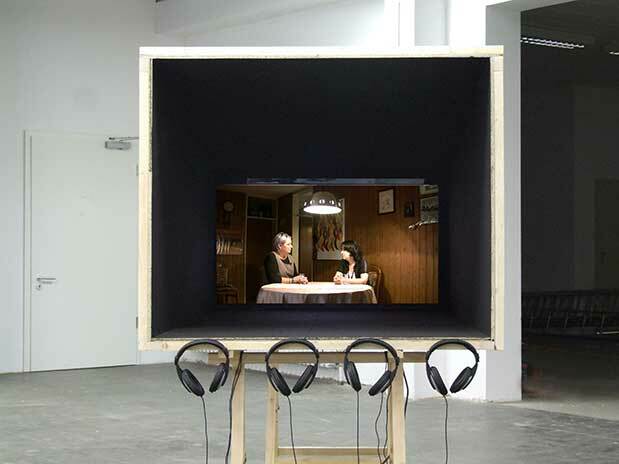 The videoinstallation shows the process of memorising, losing and reinventing facts – the transfer of the story. It commits the process of dissolves – by their biological or cultural backgrounds. It shows the subjective and cultural filter, the upheavals and branches. New content and identities arise. Of interest in this process is the visualization of “the lost and non said” during the transfer. Producing a new identity an new Hi(story). with : Najibeh Charibi, Elke Schließmann, Sivan Üktü, Silke Hartung, Anja & Ute Heidenreich, Isolde Frey, Renater Täffner, Klaus Ullmann, Willi Albert (in order of appearance).